Where Saft's previous Reggae-tinged efforts used distortion and dissonance to create a sort of ambient dub soundscape, his New Zion Trio seeks clarity and concision. Zelig-like, Jamie Saft has been an indefatigable fixture in the downtown NYC music scene. Equal parts MVP and unsung hero, his presence -- as player, producer and composer -- is at once daunting and exhilarating. Anyone familiar with John Zorn’s Tzadik label will already be quite familiar with his work, but if any musician is inadequately described by labels and geography, it’s Saft. Granted, Tzadik’s mission statement is the promotion of music without boundaries or agenda, resulting in albums that shift comfortably between genres like jazz, classical and so-called world music. Still, even in the Tzadik stable, Saft has been all-world in terms of his reach and aspiration these last ten years and change. Productive and diverse, Saft has steadily amassed a body of work that can rival any contemporary artist. There are practically too many quality items to count, but consider a random sample of high points: there is his involvement with Zorn’s Electric Masada project, The Dreamers series, and -- to pick only two from a half-dozen from the remarkable Filmworks series -- Workingman’s Death and In The Mirror of Maya Deren. He also figures prominently on Bobby Previte’s (enthusiastically recommended) Coalition of the Willing and original Masada trumpeter Dave Douglas’s Freak In. Then there is the work he’s released as a leader…Get the picture? It is, in fact, the projects he has led that make his most recent release understandable, if inevitable. As a player equally comfortable behind a piano or an organ (as well as keyboards of any kind), Saft has delivered convincing performances as an acoustic player as well as one who happily plugs in. His trio turned in a delectable take on Zorn’s Masada: Book Two (Astaroth: Book of Angels Volume 1), which is as close to traditional as Saft ever gets. On the other end of the spectrum, two of his albums, Sovlanut and Breadcrumb Sins might best be described as dubbed-up Eastern electronica. At times sounding like Klezmer meets King Tubby, these releases are heavy without being dark, and ever-so-slightly unsettling. Saft achieves the improbable: a radical deconstruction and re-imagining of the classic Dub it up blacker than Dread aesthetic perfected by Lee “Scratch” Perry in the mid-to-late ‘70s. 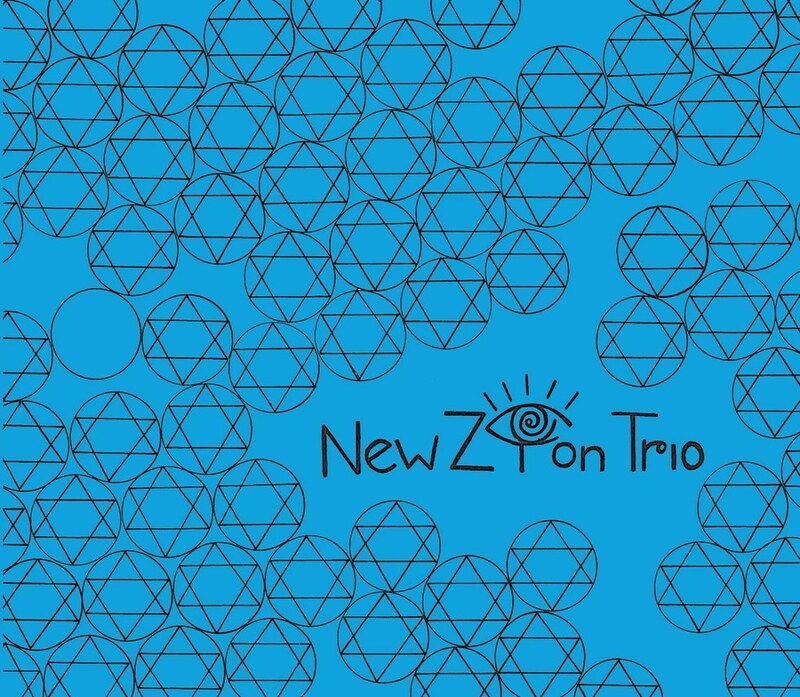 Where the previous Reggae-tinged efforts used distortion and dissonance to create a sort of ambient dub soundscape, his New Zion Trio seeks clarity and concision. It would be more than a little unimaginative to describe this set as “jazz with reggae beats”, but that may be how it sounds at first blush. First off, that wouldn’t be the worst thing; who but Jamie Saft would even think of such a thing, much less be able to pull it off? Second, after a few listens it may occur to the listener that it is incredibly challenging to pull of this sound organically. Successful dub tracks employ all manner of effects, loops and studio tweaking; in lesser hands it can be gratingly in-your-face or worse, facile. The masters (like Perry and Tubby and, in later years, Bill Laswell) cannily utilize recognizable melodies—often taken from established songs—and decode them by reducing and embellishing at the same time. The best dub has a vertiginous element that, once you understand its logic, becomes addictive. What Saft manages to do on Fight Against Babylon is create an organic ambiance and, without any in-the-studio sorcery or clever manipulation (strategies he has already showcased on the aforementioned efforts), establish a deep, utterly pleasant groove. On the first couple of tracks, "Slow Down Furry Dub" and "Niceness", cascading piano and a steady backing riddim provided ably by bassist Larry Grenadier and drummer Craig Santiago could almost be called Kingston cocktail jazz. The pace is unhurried and Saft is able to stretch out, expertly tinkering and prodding the ebb and flow. Saft’s playing is typically assured and he brings a recognizable elegance to the acoustic tracks. Again, the pace is deliberate and the vibe is mellow, but Saft never lapses into repetition or relaxation mode. After several listens one realizes that the piano is performing the roles of singer, lead guitarist and dub engineer. On the tracks "Ishense" and "Lost Dub", the beat quickens and becomes ever-so-slightly urgent, upping the ante for Saft’s keyboard perambulations. This is closer to free-jazz territory, but welcoming as opposed to forbidding (a kinder Cecil Taylor meets a gentler Mad Professor?). Once Saft plugs in the Fender Rhodes the album moves into another gear, shifting from pleasantly intriguing to genuinely engrossing. Sweet and smooth, standout track "Hear I Jah" invokes the grandeur of Herbie Hancock and the tune is a mind-boggling mash-up, sort of Mwandishi matched up with Sly and Robbie. Closing track "Fire Blaze" slows things down to a hypnotic crawl, and Saft’s playing invokes 19th Century classical more than Studio One: it’s like Chopin with a spliff. Jamie Saft, capable of seemingly anything, shrewdly utilizes a less-is-more approach to create a music that no one else could have conceived. He boasts the full range of his influences and ability, conjuring up sounds and feelings from multiple genres. The results are strikingly original and may inspire you to dig up some dub classics from your closet, or listen to contemporary jazz with reawakened ears. They should also remind you that while Saft has never before done anything quite like this, Fight Against Babylon is an obvious and welcome continuation of the distinctive and unclassifiable work he has been doing for well over a decade.